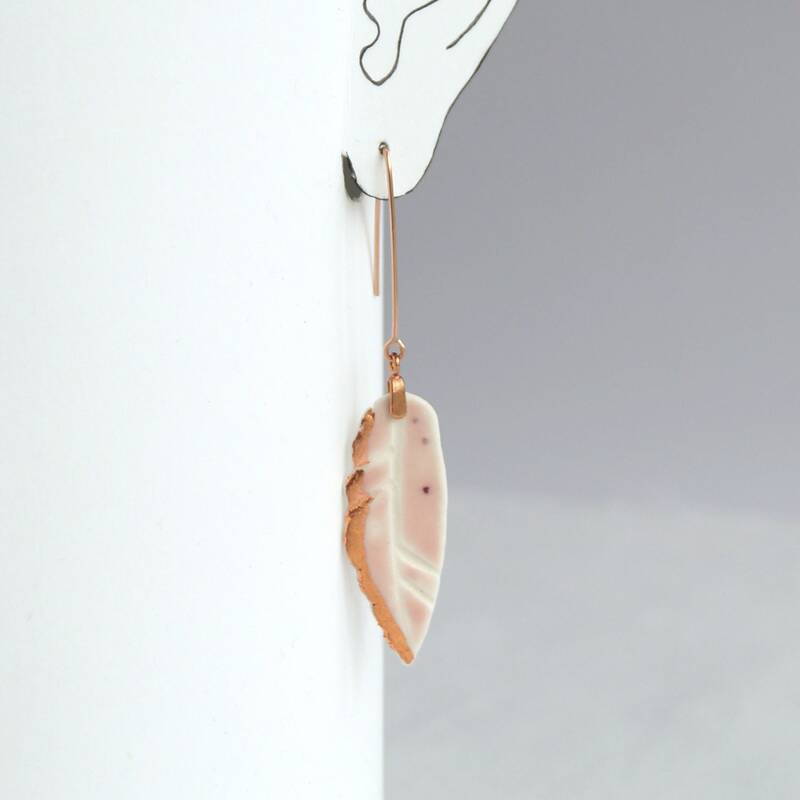 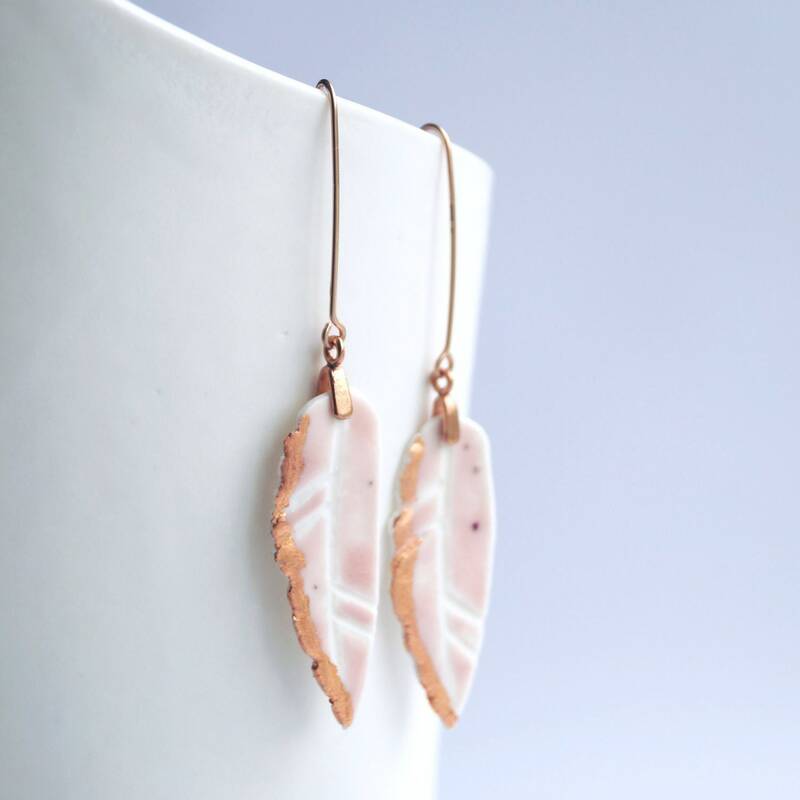 These gorgeous feather earrings have a blush pink glaze, copper edges and they dangle on rose gold wires. 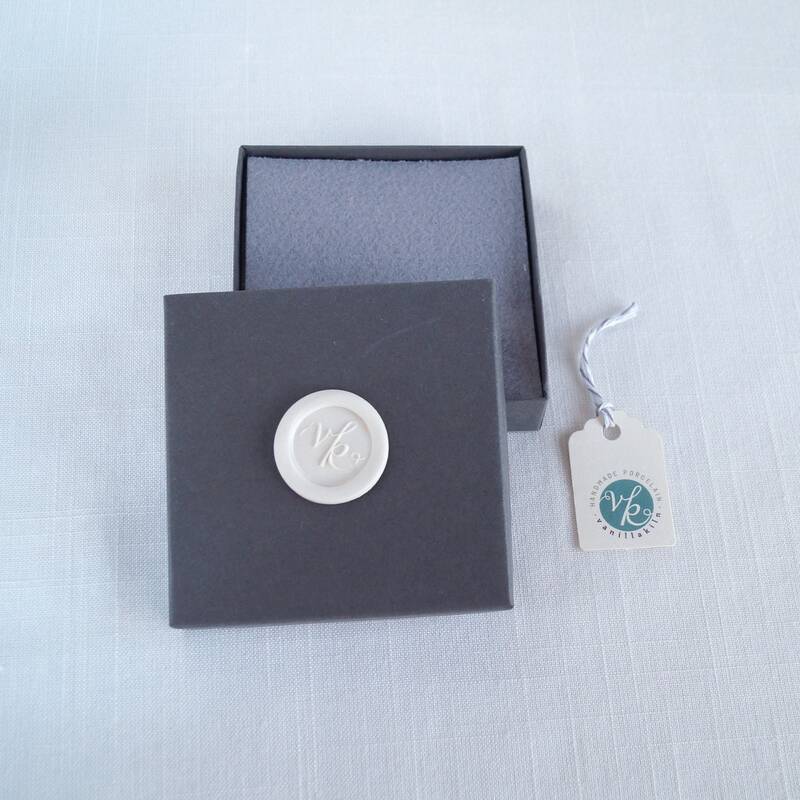 Pretty Mothers Day gift! 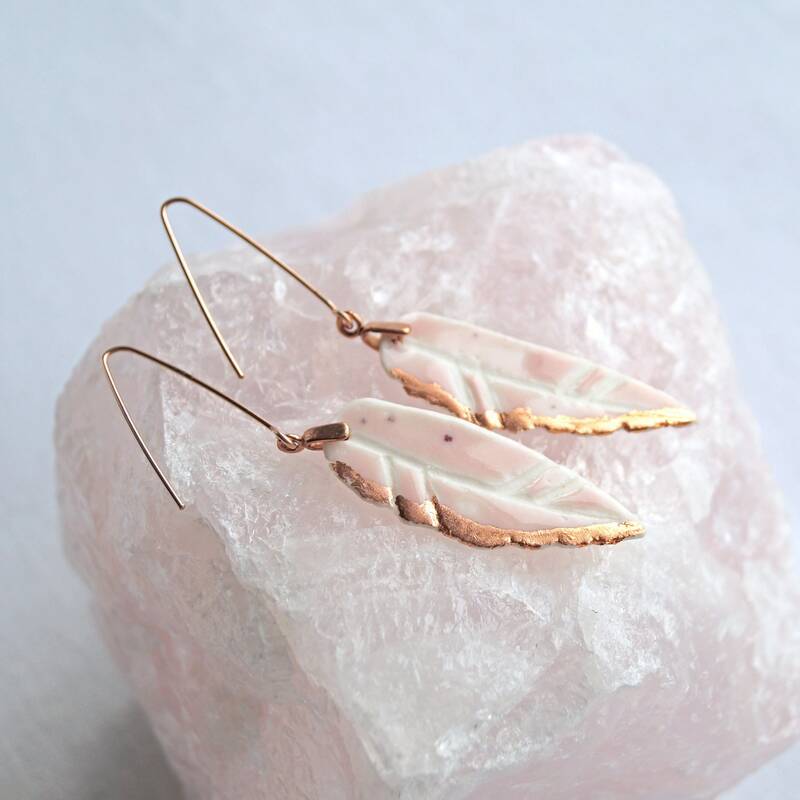 Feather 40 mm x 15 mm approx. 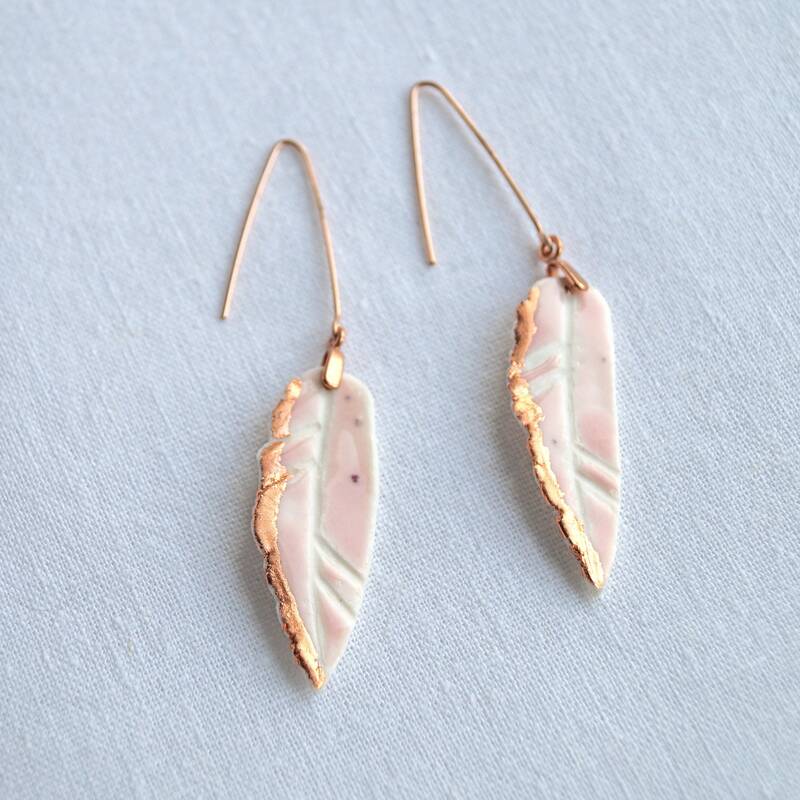 14 kt rose gold filled ear wires for sensitive skin.